Shirley and Jerry Packer donated a lot in the McLendon-Chisolm neighborhood for a park as a tribute to their son, Clint, who died of lymphoma. “People 100 years from now will know that Clint Packer lived,” Mr. Packer said. Many enjoy its benefits, but few know the history behind our neighborhood park, which is the only park in the city of McLendon-Chisholm!. Beverly Stibbens thought an odd-shaped lot in her McLendon-Chisholm neighborhood would be hard to sell, so why not make it a park? Owners Jerry and Shirley Packer agreed to donate the land. “Because we knew our son was dying,” said Mr. Packer, who, with his wife, cared for Clint Packer during the last five years of his life. 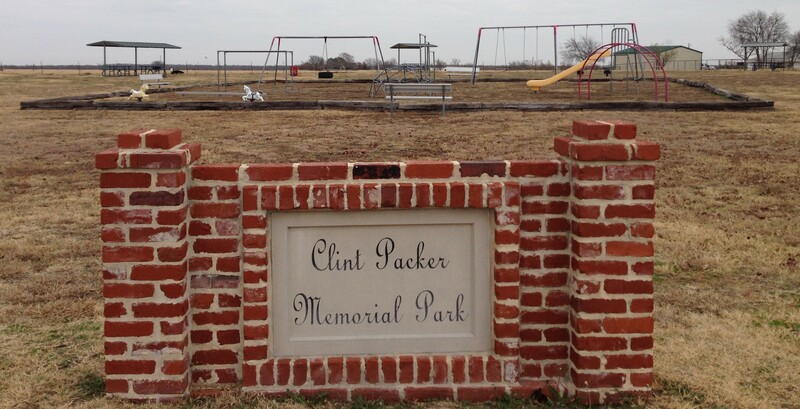 The park, dedicated last week with its monument sign reading “Clint Packer Memorial Park,” will be a lasting reminder that he was. “People 100 years from now will know that Clint Packer lived,” Mr. Packer said. Mrs. Packer said the park is a fitting tribute. As a teenager, Clint roamed the woods and pastures with his Irish setter, and some of his proudest moments were time spent with his young nieces and nephews. 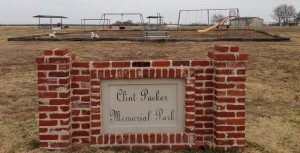 “Clint loved children, so that park will fit with who he was,” his mother said. The private park in the Quail Creek neighborhood is the first in the city. “Being a large-lot community and mostly rural, there really wasn’t a desire for parks until all these subdivisions started coming in,” said Mrs. Stibbens, a longtime City Council member. To allow children to interact, parents took them to schoolyards or Rockwall city parks. Quail Creek has filled with young working families with children, said Dave Butler, president of the homeowners association. A committee formed, homeowners voted, and fees were assessed to create the park. A little more than a year later, children were riding their tricycles and bicycles to the dedication at last week’s National Night Out event. Besides playground equipment, the park has shade pavilions, benches and barbecue grills. With money left over from the $24,000 that was raised, the neighborhood will add picnic tables. Mr. Packer said he’s proud that the park project fostered a spirit of community in the neighborhood.